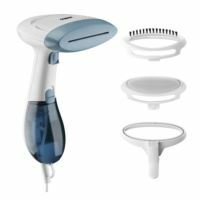 1875 Watt Cord-Keeper Styler Hair Dryer with 1875 watts; Ionic conditioning helps promote less frizz; Retractable line cord with push-button control; Powerful and lightweight; Cool shot locks style in place; Folding handle for easy storage or portability. 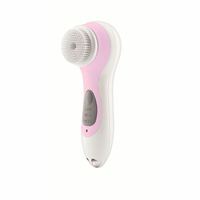 Conair's True Glow Warm Steam and Cool Mist Facial System opns pores for a deep clean and cool mist to close pores. It's the best way to prepare skin for moisturinzing products. Inclues auto-shut-off, timer with 3, 6, 9, 12, and 15 minutes. 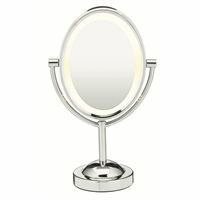 With it's classic oval shape, the perfect 'face-viewing shape', and it's polished chrome frame, this doubled-sided mirror gives a contemporary customer every professional feature for perfect makeup, accurate skin care, even clear, easy insertion of contact lenses. The mirror conveniently rotates 360 degress for viewing on the regular side or on the other seven time magnified side. In keeping with it's classic style, the 6' power cord is clear. 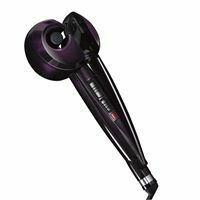 Infiniti Pro by Conair Curl Secret is changing the way the world curls hair. 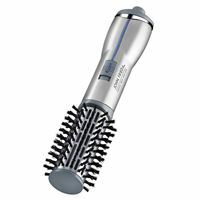 This revolutionary new curl styler features top technologies, innovative engineering, and an automatic curl chamber - the Curl Secret- secret behin the perfect curl. 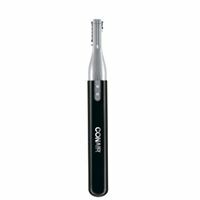 This Conair Ceramic Flat Iron has even, high-heat distribution for silky, smooth results and gorgeous shine without any damaging hotspots. Its ceramic heat provides your hair with an all-day hold. 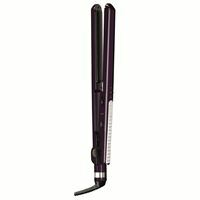 The Infiniti by Conair CS710R Tourmaline Ceramic Flat Iron protects, revitalizes and nourishes your hair as you straighten and style. The CS710R delivers 89% straighter, less frizz, high shine, silky straight and healthy-looking results. 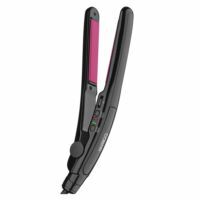 The ceramic-coated plates provide maximum conditioning and frizz reduction while you straighten. 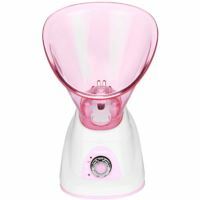 It reaches heat levels of up to 455 degrees and only takes 15 seconds to heat up. With an instant heat recovery system, the CS710R will automatically recover its heat if unplugged or power is lost. Floating head technology – tracks the curves of your face for exceptional accuracy and comfort. Advanced blade technology – electro-chemically formed blades for extreme sharpness, durability, and accuracy; safe on sensitive skin. LCD display. Electronic length control – from .4mm-5mm. Rapid charging system. Unique floating contouring head. Ergonomic design. Advanced power performance. Spanish/English instruction booklet. Limited two-year warranty. Dual heat technology provides faster, hotter steam for better results. Concentrated steam, Dewrinkle fabric.Dry steam allows you to penetrate heavier fabrics for better results.Effective on all types of fabrics, linens and drapes.Features include 1100 watts, 60-second heat-up, 15-minute steam time, Kills dust mites and bedbugs, Slide switch for dual heat settings, Steam trigger with built-in switch for constant steam, Easy-to-fill water reservoir and 9-ft. power cord. Includes 3 attachments: brush, creaser, and soft cushion brush. 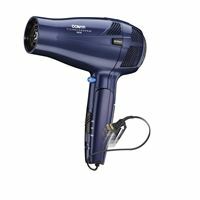 Transform your hair with the NEW Hot Air Brush (JFHA5) from the experts at John Frieda. This premium Hot Air brush features advanced ionic power and gives volume and shine to your hair while it simultaneously dries each strand. Instant heat up makes drying fast and safe all while delivering high heat. It's convenient and easy to use. Product Features include Small and large blades can be used for all types of facial and body hair trimming. Operates on one AA battery (not included). Limited two-year warranty. 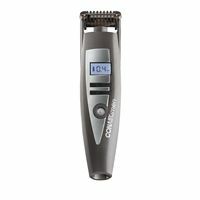 Conair's Sonic Skincare solution provides professional results with 300 oscullation head brush. It shakes dirt and removes make-up from pores without irritation as an every-day regimen!